CHAMPAIGN, Ill. (WLS) -- On Saturday, friends and loved ones will gather to celebrate the life of a University of Illinois student who was shot and killed in a robbery. Vicente Mundo's body was found over the weekend after he vanished from a friend's home.Two men are charged with his murder. 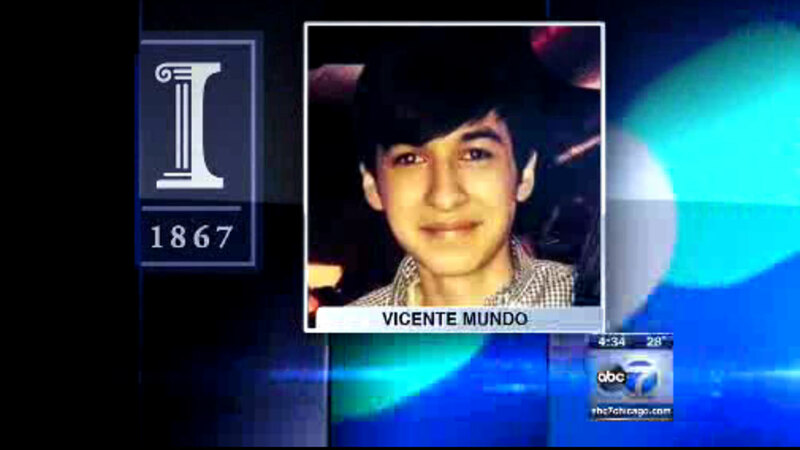 On Saturday, Mundo's friends and loved ones will hold a memorial for him at Curie High School where he was a student. It starts at 10 a.m.